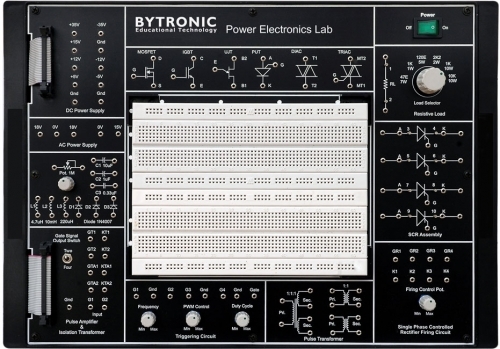 The Power Electronics Lab is used to perform power electronics circuit experiments. 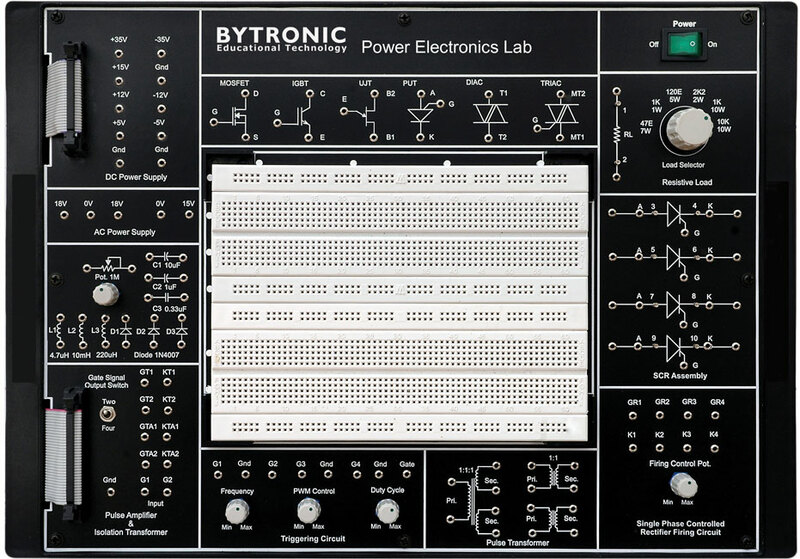 Student studying the characteristics of power electronics devices and the applications of power devices will find this an essential piece of equipment. The applications of power devices are in alarm circuit, lamp flasher, rectifiers, choppers, inverters and also commutation circuits.